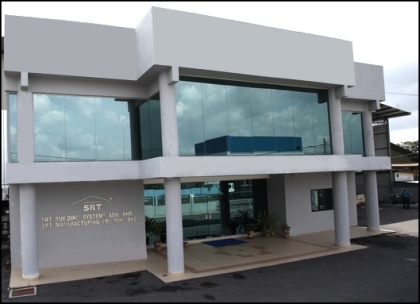 SRT Buidling Systems Sdn Bhd is one of the pioneer manufacturer and distributor of providing high quality steel roof products and services, complimentary building products for residential and non residential projects. We are the leader of manufacturer, supplier and skilled fabricator using cold-formed steel roof trusses in developing roof truss systems to cater for medium to high-end projects. We are undoubtedly positioned as the one-stop steel roofing solution to developers, contractors, consultants, designers and private owners and our in depth experience and expertise in this area has enabled us to customize these brands and beyond to meet your requirements. Using products of the highest quality, we provide the best in steel roofing and accessories. Our services include delivery, installation and maintenance throughout Malaysia.